Thanks for the info.... May look into a pair. 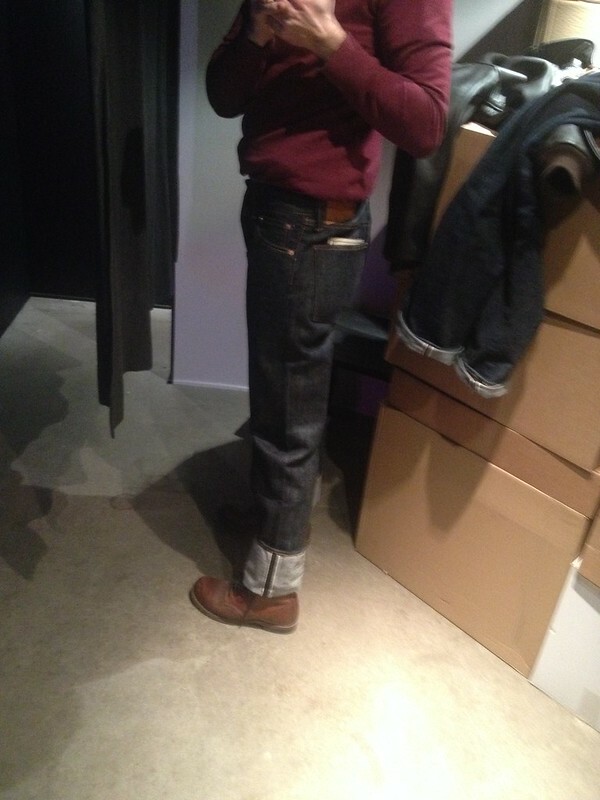 My original 660's are wrecked but the denim is great. 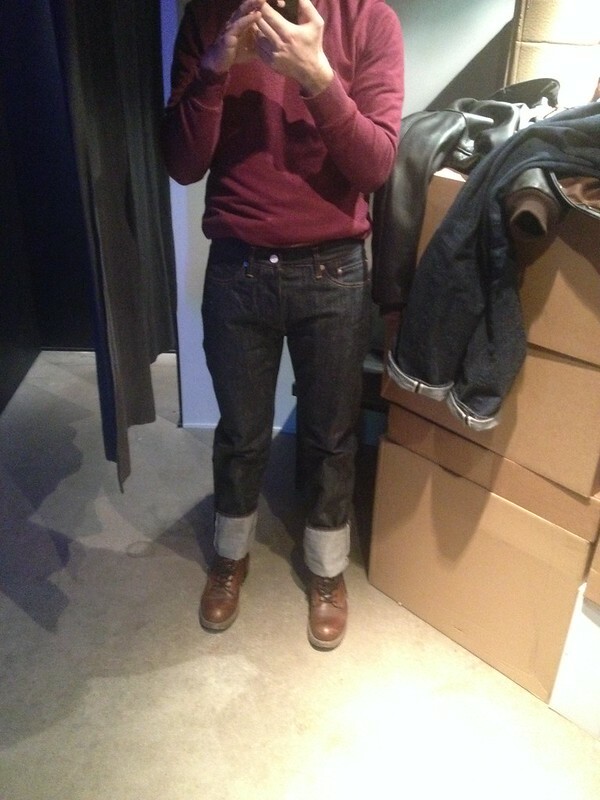 Looks great Tilmann -- trimmer than I might have thought (both you and the jeans)! The 800 is so simple and classic at a fair price. When you say the 800 is trimmer than the Resolute, are you comparing a size 34 to 36? Where did you get them from? If you don't mind I would be interested in the inseam length and leg opening measurements. We are the same size in most jeans. I presume these are a little looser than the Resolute 710 in w36? Thanks for any assistance. Japan-holic still has size 34 (one-wash) 800s in stock for $190 shipped. I tried a raw w34 and 36 on several weeks ago. The w34 fitted quite well on waist when raw so I was not sure if it would shrink too much. On the other hand the raw 36 was huge all over. if the w34 waist stretches back to raw they would be perfect. The waist will stretch back easily. I felt the waist already stretching on my pair although I wear a belt. They arrived on Monday and I soaked/washed them yeterday. Size 34 after 1 soak, 1 machine wash and 2 hours wear. Waist & inseam shrunk around 2". 0,5" shrinkage through the leg. Great fit. And great choice. 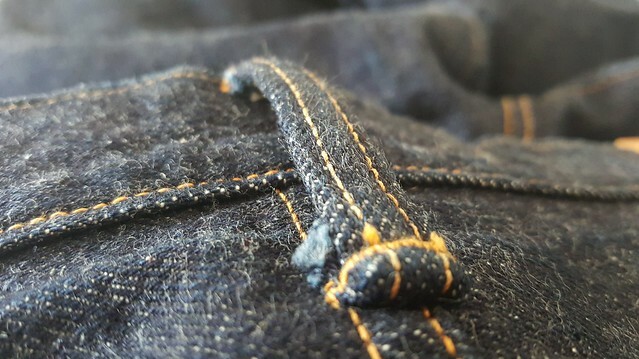 The 800 is a hallmark jean. I'm looking for another pair 36W if anyone knows anything?? The inseam is now at 33,5". Was at 35,5". I guess there is still 1" shrinkage left. 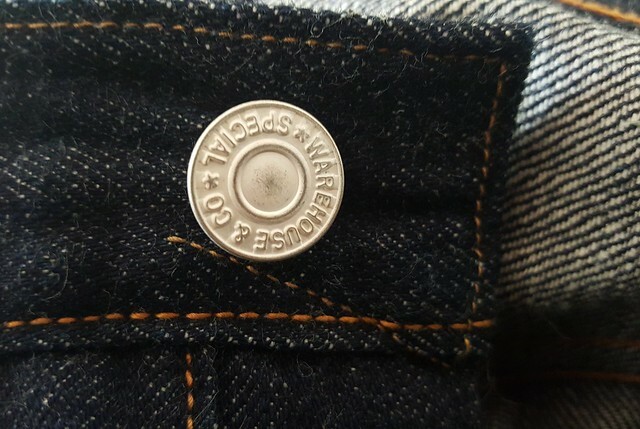 Tagged inseam in 32". Leg opening is just at 8,5". The top block on the 800 is trimmer than the Resolute. I bought them from Samurai Craft. Free shipping and they exclude the tax. Was the last size 34 though. How tall are you B_F? 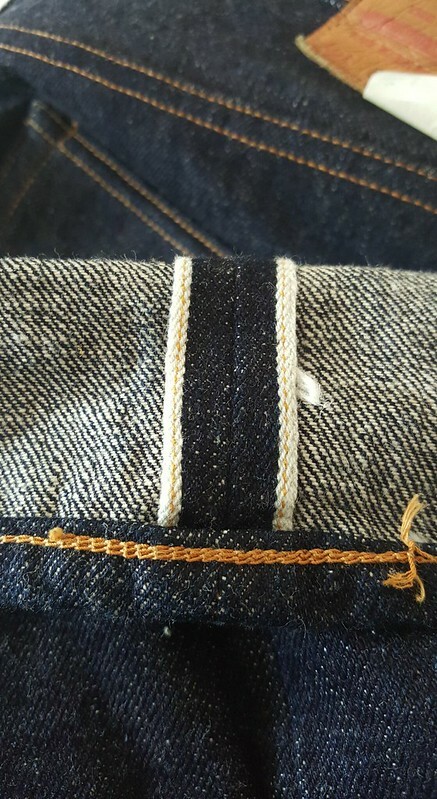 As much as I want to get a pair of new WH jeans this year, the 32-inch inseam is off-putting as I like healthy double cuffs these days (and I'm 5'11"). Might have to troll yahoo auctions for older listings with 34-inch inseams. Great fit, b_f. Don't they fit way better than your previous Lot? 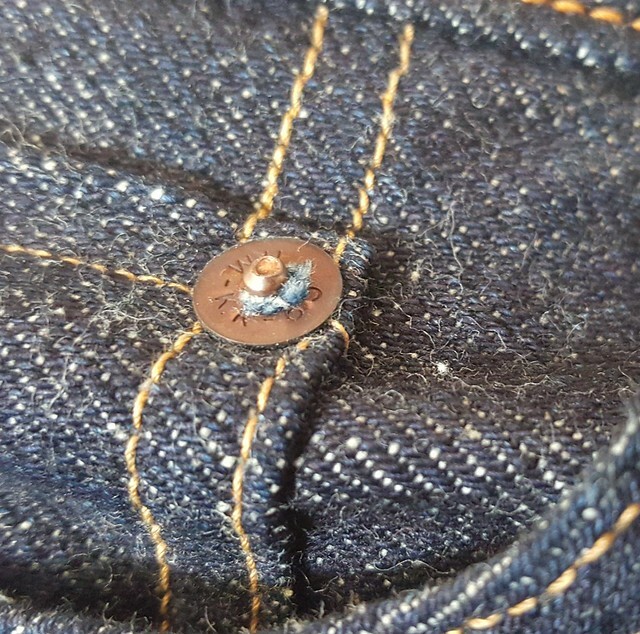 I gave my pair a machine wash yesterday and will post pictures and measurements soon. 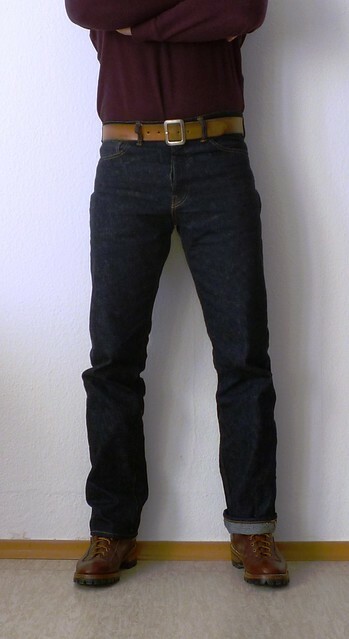 The 800 really offers a nice slim yet comfortable fit, also because the denim is quite easy to stretch. ^keep in mind that the rise is mid-high. I'm 6'2" and have washed my tagged 34*32 a lot and could still wear a single cuff if I wanted. But that's more a hayashi look then. And to be honest, I think the silhouette works best uncuffed. Thanks for the insight Max, it's what I'm looking for. With any luck, I can try some WH on in-store later this year when I go to either Japan or Korea. And as far as I know Max Power is 1,86 m which should be 6'1"
A big part plays of course your build. If you have long legs and a short torso or the other way around. 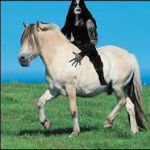 And as MaxPower said: the rise is rather on the higher side sou have some room to play when "sag" the jeans a bit. ^true, i added 1" (as always). Here's my 800: inseam is at 84 cm, hem at 21,2cm. Wonderful Max. They have that lovely grainy, cross-hatch look to them. Also, last photo, bottom of the left leg looks to have the crinkly, marbling that you seek so strongly! 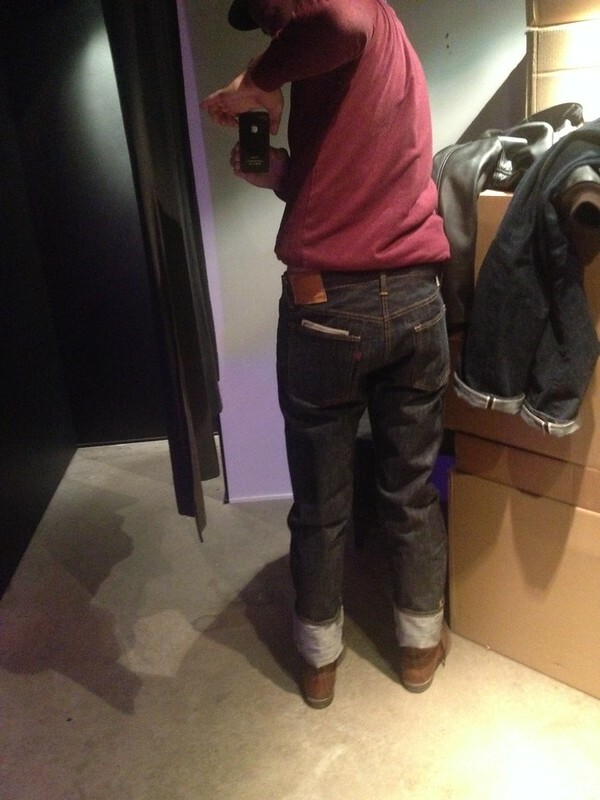 They are great no-frills 'basic' jeans b_F and you've captured the details well. 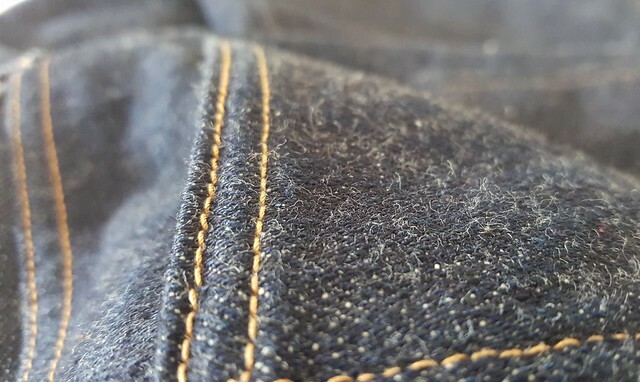 Do you happen to know the thigh measurement (BiG style) of your 800s raw/post wash/now (after stretch)? Anyone tried he Warehouse lot 900? 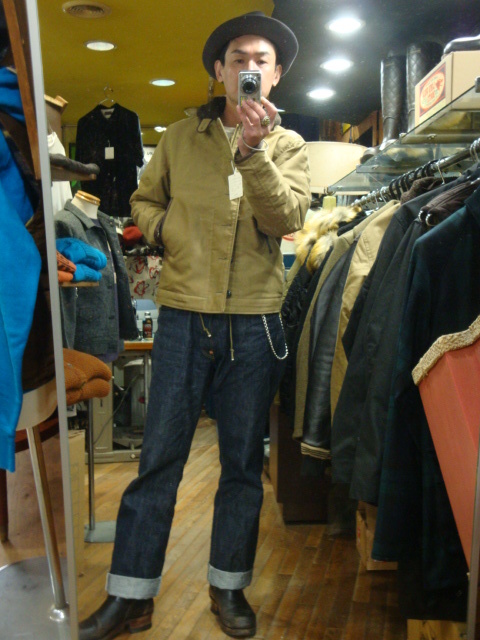 Caliroots list them as having a 34inch inseam. I may give them a try. Think the 800's would still be a bit loose for my current taste. Great shots, Tilmann. I don't recall mine being that hairy! (On a sidenote, it bugs me that my old camera doesn't work anymore and me new one lacks a macro lense). How pronounced is your roping? Mine was pretty much there after the first wash. Yes, I tried on a pair at Caliroots a year ago, should be some pics in this thread. If my memory isn't to hazy I tried on a raw pair, TTS, and I think it would have worked. As in no room in the top block?? If so, no good for me as I am pretty tall. That's exactly what I am loving them for! They measure now 12,8". So a bit smaller than they did raw. There is enough room on my thighs when I stand. I have only worn them for 1 real day though. 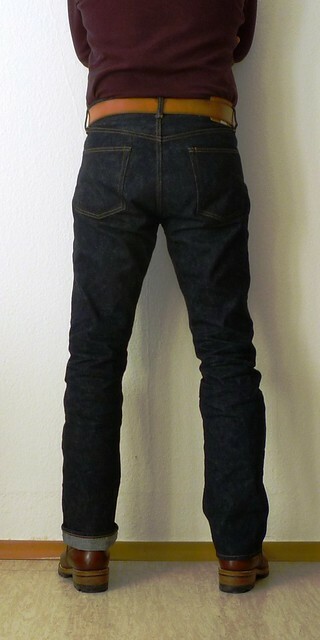 ^Off topic, but setterman, your LVC 55's are one of my favorites fading and denim-wise!